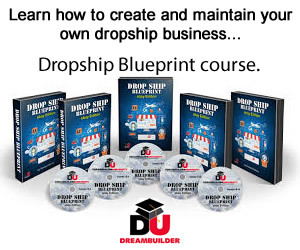 Drop ship companies located in Australia offering drop shipping to Australian companies. These vendors are ready to ship products to your customers in Australia. create and maintain your own successful online business with no money upfront. 30 Below is a leading Australian manufacturer of Ugg Boots - footwear manufactured from pure sheepskin. With new collections every season, and regular sales, 30 Below delivers thousands of original-sheepskin shoes all across the world. With free Worldwide delivery and up to 30% off regular retail prices, no wonder thousands of happy customers back 30 Below up. Australian Aura is a widely popular retailer of fine Australian sheepskin and UG boots for all age group customers. Customers can choose from different collections including the Classic Adult Short and Tall Collections, Original Classic Kids Collection, Pammy Wrap collection, the Nomad Roxy and many more. thousands of hot products in over 27 categories - everything from Baby to Electronics, from Perfume to Tools, from Jewellery to CDs! Latest phones, digital cameras, Camcorders, MP3 players, Gaming consoles, Memory cards and bluetooth. The biggest brands at the lowest prices.